We're big fans of both Netflix and Hulu here at Cordcutting.com, but we know that the streaming services themselves can't afford to get too friendly. After all, they're archrivals in the increasingly competitive world of streaming television and movie content. In the spirit of that rivalry, we've put together this friendly little competition. 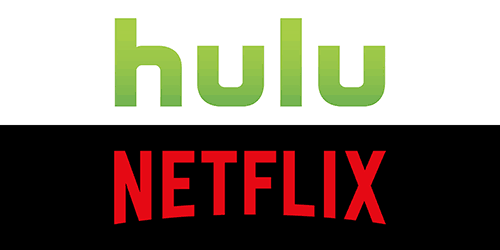 We're taking an objective (if a bit unscientific) approach, and comparing Hulu and Netflix by the numbers. From subscriber numbers to market valuation, this is how the two biggest kids on the streaming block stack up against each other! How Many Subscribers Does Netflix Have? Netflix is by far the biggest subscription streaming service in the business. As of last month, they reported 65.6 million subscribers, including 42.3 million in the United States alone. How Many Subscribers Does Hulu Have? Hulu reported that it has nearly 9 million subscribers, up from around 6 million in 2014. That lags behind Netflix, obviously, but the growth rate is very impressive. How Many Movies and Television Shows Does Netflix Have? This is a tricky question, because it's very hard to find a hard figure online. Part of the reason for this is that Netflix's lineup changes constantly, with new titles being added every month and old offerings being pulled when deals expire. But Netflix seems to have roughly 6,500 to 7,000 titles available right now, according to Netflix content organizers like AllFlicks (their count: 6,610) and Instant Watcher (6,516). How Many Movies and Television Shows Does Hulu Have? It's just as hard to find numbers for Hulu as it is for Netflix, but Hulu's content page gives us a quick and sloppy way to calculate our figures. By sorting to “All” and viewing alphabetically, we can see that Hulu offers us 24 results per page and a total of 371 pages. That would be 8,904 titles, assuming that every page is full and every title is unique. Meanwhile Something to Stream, a third-party site that tracks Hulu content, lists some 5,924 movies and 3,726 television shows. That would be a total of 9,650. Even with imprecise figures, it seems safe to say that Hulu has more individual titles available than Netflix. How Much Is Netflix Worth? Netflix is worth an awful lot – if you ask Wall Street, at least. Netflix's market capitalization, at the time of this writing, stands at about $53 billion. That's not a perfect measure of value, but it's a simple way to evaluate how much investors believe a company is worth. Suffice it to say: Netflix is worth a ton of money. How Much Is Hulu Worth? Hulu doesn't have its own market capitalization figures, because it's owned as a joint venture by other publicly traded companies (subsidiaries of NBC, FOX, and Disney each own a chunk of it). But the New York Post found an analyst that was willing to hazard a guess: according to their report, Hulu is worth between $6.1 and $9.7 billion. That's not nearly as much as Netflix, but it's a figure that's rising fast – Hulu's owners considered a sale for $3 billion only a couple of years ago, and that looks like chump change now. How Many Original Series Does Netflix Have? Netflix has 27 original series, including 6 continuations of series that began on television networks. They also have 30 specials (mostly stand-up comedy), 28 movies, and one miniseries. How Many Original Series Does Hulu Have? Hulu has 14 original series right now, with plans for more in the works. It's no secret that Netflix is bigger than Hulu right now, but we were pretty surprised to see how well Hulu measured up in some of these categories. Of course, this little competition was just for fun – quality matters just as much as quantity in a couple of these categories, and Hulu is blown out of the water in a couple more. We don't recommend you make any investing decisions based on this article. Still, it's a neat way to get a sense of the current state of the streaming world's biggest rivalry. If the goal is to stick it to the networks and cable companies exploiting workers, putting the streaming company literally OWNED by said companies on the same level as other streaming services is hypocritical or ignorant. Hulu has time and again exploited its ownership by Comcast to abuse free market rules, both as an internet provider, and as a content provider (NBC/Universal). And Disney/ABC and Fox/20th Century Fox are the other two major owners… While neither is as blatantly abusive of this relationship as Comcast has been, it still defeats the purpose of cord cutting to turn to a streaming system based on the same “pay to be advertised to” models.